This statistic displays the findings of a survey on posting stuff online to get likes among teenagers conducted in Great Britain in 2014. 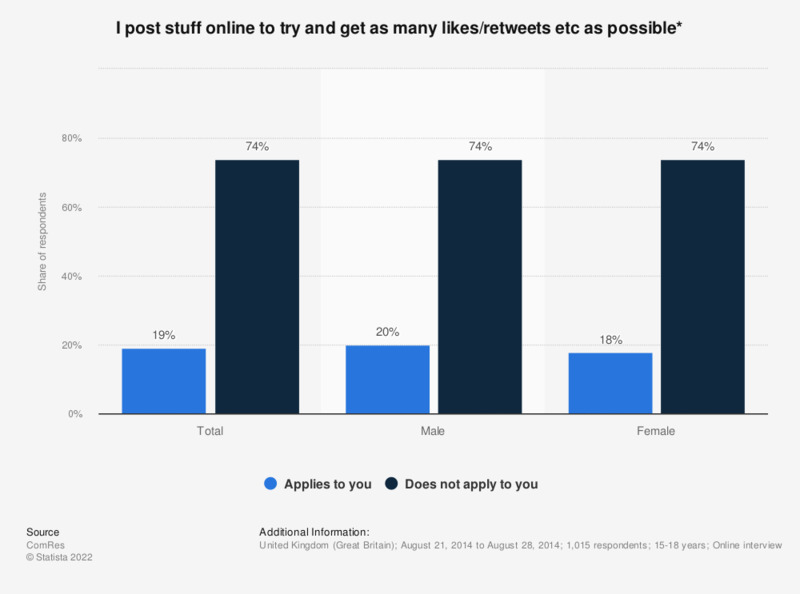 In 2014, 20 percent of male, and 18 percent of female respondents reported posting stuff online to try and get as many likes as possible. * The original survey question was: "Do each of the following statements apply to you or not - I post stuff online to try and get as many likes/retweets etc as possible"